This is a passion not just for food but the passion for sharing, this is Restaurants Against Hunger. This is the first public act in the Philippines and it started with Action Against Hunger (1979) to once feed Afghan refugees during the Russian and Afghanistan war. They have 40 years experience and started in the Philippines during the year 2000, helping in central Mindanao with food programs. Hunger exists everywhere, not just malnutrition but how to detect and treat it is done by prevention. Access to clean water, not just food security is done so it could reduce malnutrition for children. They want to make sure it sustains the community, they are an NGO and converge during conflicts and help the population recover. They provide water and sanitation, and they will be able to do more with your help says Javad Amoozegar, the Country Director for Action Against Hunger Philippines. 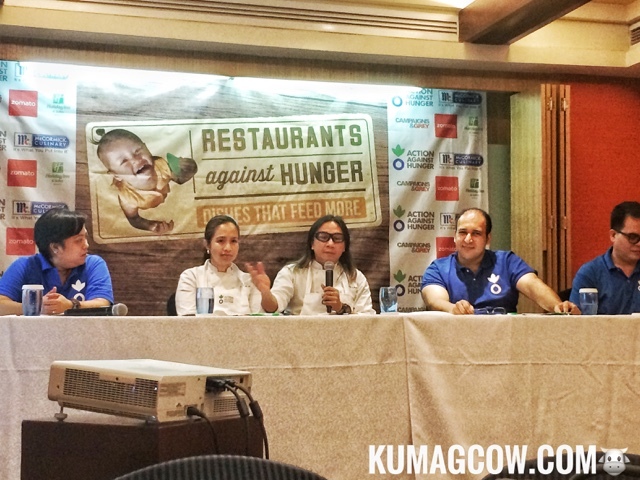 Today, the Philippines is following the footsteps of UK, US, Canada and Spain by launching Restaurants Against Hunger. 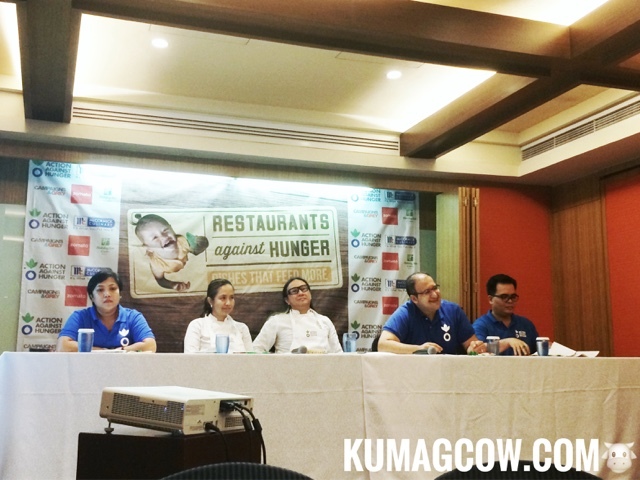 Joining various restaurants on their belt, and the Chefs in between, Chef Rolando Laudico is the ambassador for this cause and with the act of putting proceeds of particular dishes served in over 103 restaurants in the Philippines called DISHES THAT FEED MORE that will give life saving impact for kids with malnutrition. They will transform villages, do healthcare, educate and deal the things that stand in their way. 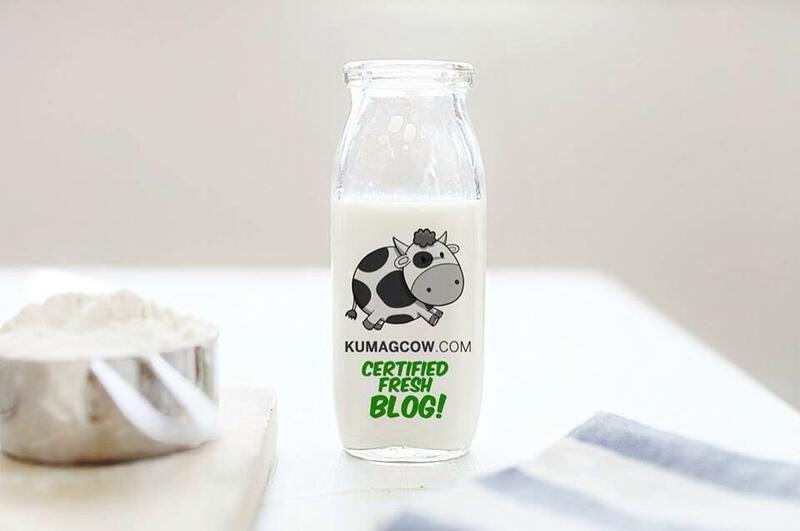 There are children that have low height for their age, kids that have stunted growth. That means 4 Million Filipino kids we are talking about. The country is ranked 9th in the world when it comes to stunting, undernourished kids doesn't just mean physically, but also mentally. Malnourished kids are bound to be caught in a cycle of poverty 20% of the time but in all these challenges, we can overcome it. We can help kids survive just by going and ordering these food items on their menu. It's time to put them on your list this 2016 as it will run from November 15, 2016 to January 15, 2017. 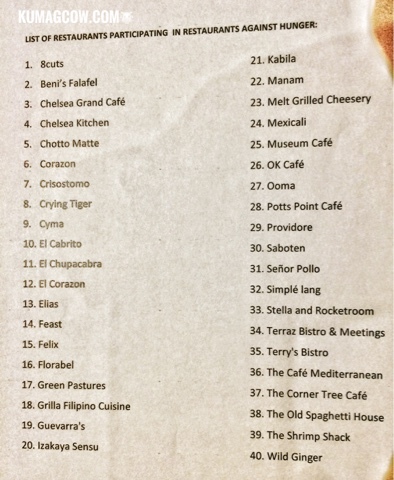 You can register your restaurants too until November 30 at www.restaurantsagainsthungerphilippines.org or like their Facebook page @RestaurantsAgainstHungerPH, follow them on IG @RestaurantsAgainstHungerPH and on Twitter @EndHungerPH or their official website www.accioncontraelhambre.org/es/filipinas.